1. The rod will fish a very long line well that would overpower other rods. If you regularly fish long lines (i.e. 20+ feet) you’ll appreciate this action. If you fish shorter lines (i.e. the same length as the rod), I’d recommend going with a heavier line size to help load the rod. 2. Casting accuracy is improved and you can get very tight loops. This is achieved by using a hollow tip section (which is stiffer than a solid tip) that reduces tip bounce at the end of the cast that can affect precision. The faster action also helps you punch line through the wind. 3. 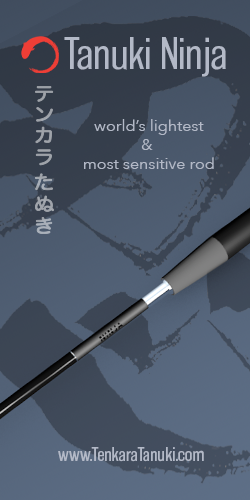 The rod is very sensitive which is good for strike detection when nymphing or twitching a sakasa kebari. I like to rely on sight for strike detection but sometimes you have no choice but to go by feel. In those cases, this rod shines. While the rod is on the stiff side, it doesn’t feel like a broomstick. It flexes well enough into the mid section so you still get good haptic feedback from the loading and unloading. I fished this rod with an 18′ #3.5 line but easily could have gone longer (I just didn’t need the extra length on the stream I was fishing). Length: 390 cm / 12.79 ft. Weight: 95 grams / 3.35 oz. Handle length: 28 cm / 11 in. Closed length: 57.5 cm / 22.63 in. 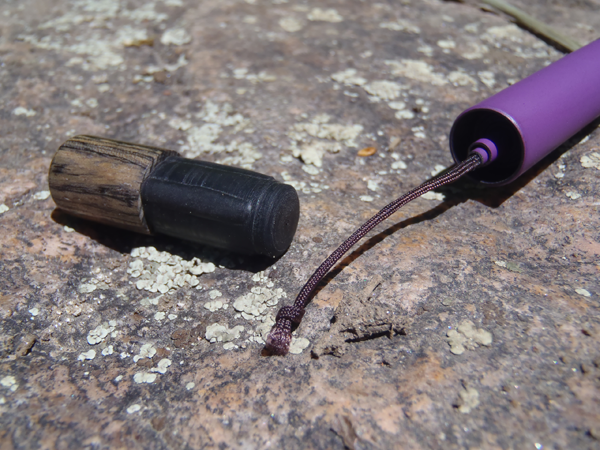 The rod is decked out with pretty much the same hardware as the other Tenkara Times rods I’ve reviewed: a good quality cork grip, wooden rod plug, standard lilian, and a metal end cap with a cushion. I’m also a fan of the matte finish which eliminates rod glare that can spook fish. One thing to note is the grip shape (which is a little different than the 1st Step and the Next). It features an elongated bulge at the end. At first, I thought it looked weird but it turned out to be very comfortable if you like to hold the rod at the very end of the grip as I often do. And the rod balances very well when gripped this way. 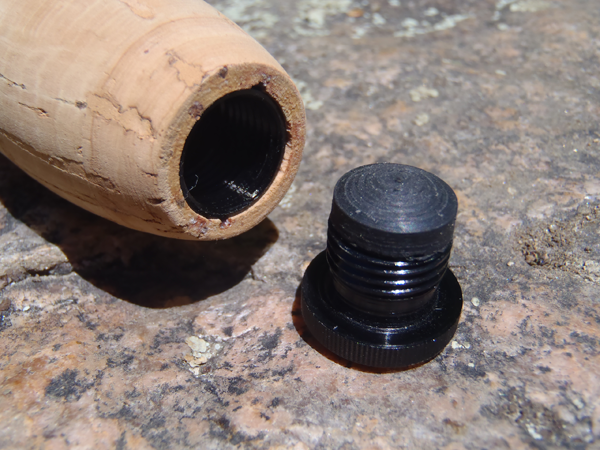 One thing Tenkara Times does (and I wish more manufacturers would do) is include a spare tip section. 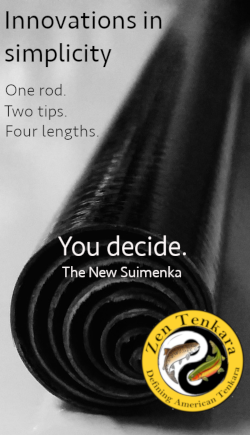 Given the relatively delicate nature of a tenkara rod’s tip and how inexpensive the tips sections are, it would seem like a no brainer to just throw one in with the rod. It’s a good insurance policy, especially when travelling. 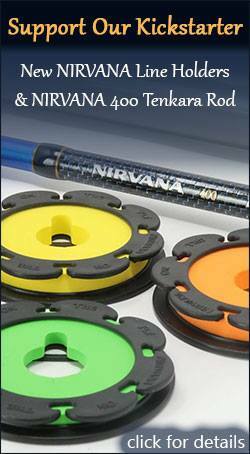 To learn more about the Motive and the company’s other gear, visit the Tenkara Times website. 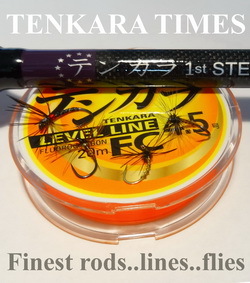 I believe that this is the only tenkara times rod that comes with an extra tip section, at least according to their site. Thaddeus, looks like it. Probably because hollow tips have a reputation for being easier to break. 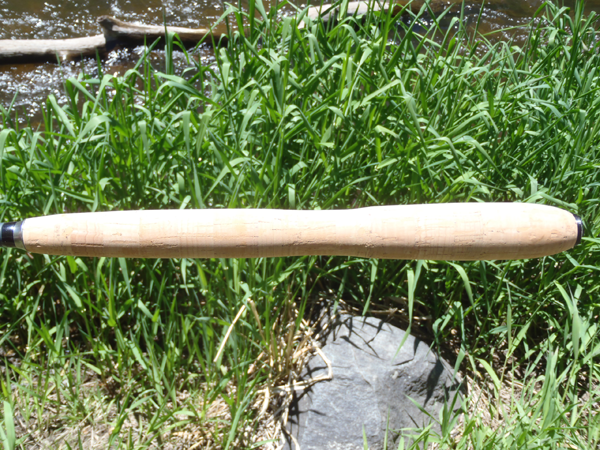 But many high end Japanese tenkara rods have hollow tips so there’s obviously some benefit to the design. I think if you don’t abuse the rod (any rod) tip breakage is a non-issue. 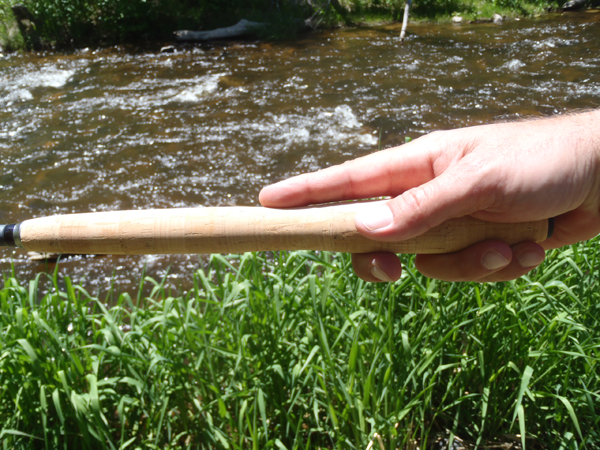 In 4 years I’ve only broken one tenkara rod and it was because it was defective. And it wasn’t even the tip. It was the mid section. In other words, it was a manufacturing flaw, not a design flaw. 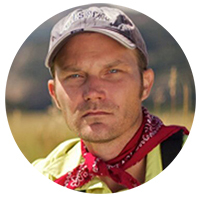 Jason, love your reviews, thanks! Just one simple request, when you do your “Specs” section could you also include standard US measurements as well as metric? Helps us “old timers”! Ah, you got me Tim! If you look at my other reviews, you’ll see that I usually do give both systems of measurement. But I confess. This time I got lazy and just copy and pasted from the Tenkara Times website. I’ve edited the post to include both the English and metric specs. Thanks for taking me to task. 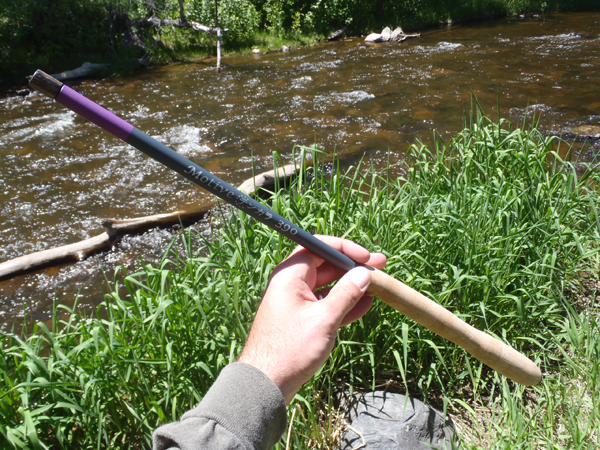 The Tenkara Times rods look pretty good, and I have two on order. What surprised me is that their replacement plan is about as good as TUSA, though it will take much more time to get the parts. I believe they quoted me somewhere around $20.00 on replacing a midsection pieces and something similar for other parts. 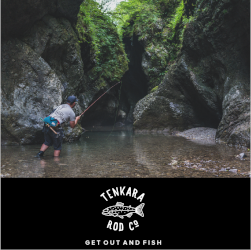 What has been your experience in dealing with Tenkara Times in the UK? Euro conversion, shipping time, pay pal fees, etc. I’m really excited about this new Motive rod and am just a heartbeat or two away from ordering one, but would appreciate your candid reply before I make the cast, so to speak. PS: We are in Estes Park for the summer and how to see you while we are here. I don’t know about the Paypal fees, etc. because I don’t purchase the rods. They send me them to test out and get my feedback. Shipping seems to be fast though. Would be great to hook up with you and do some fishing in RMNP. It will have to be some time after mid-July. Will you still be here then? Thanks for your reply. The Motive is aptly named, because it may motivate me to buy another tenkara rod. We will be here thru Labor Day weekend. When you get a hole in your schedule, let me know. I’m starting work at Scot’s tomorrow 9 to 6. My cell number should you want to call or touch base is (435) 817-1750. Thanks for the review, fun to learn about all these new rods out there. I just bought my first rod (TUSA Ito), excited to start fishing it. The rivers out here in WA state are all starting to drop into awesome shape. I like this rod, now I know it is good.